There are many things that you can do to help keep your car's engine running smooth year after year. 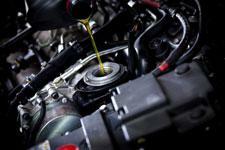 This includes routine maintenance, such as conducting regular oil changes. Even still though, your car may require engine repair at one point or another due to general wear and tear. If you encounter any of the following problems be sure to visit a reputable auto shop for engine diagnostics and repair soon, as the problem will only get worse. One of the most common signs of engine trouble is the appearance of excessive, colored exhaust. Depending on the color of the smoke you can often get an idea of what is wrong. For example, blue smoke means that oil is burning inside the motor, while white smoke indicates coolant cooking in the combustion chamber. If the person changing your oil notices flakes of metal in the oil they drained from your car, it could be a sign of excessive friction occurring between the moving parts of the motor. While this could be caused by low oil levels, a bigger issue may be at hand. Further diagnostics will need to be done to pinpoint the cause of the extra wear. A knocking noise that rises and falls with the engine RPMs can often be attributed to failing engine bearings. These bearings support the movement of the moving engine parts. If they fail it could cause the engine to grind to a halt, resulting in a need for massive and expensive engine repairs. Nothing should ever be leaking from your car. While your vehicle uses a number of liquids to operate two are essential to the motor. This includes engine oil, which will appear dark brown or black on the ground, and coolant, which is usually bright green and very sweet smelling. The check engine light indicates that trouble has been detected by one of the many sensors onboard your vehicle. Do not ignore this light! In most cases the issue is quite small and can be fixed quickly with little costs, yet if they are left unchecked they will grow much worse. At the first sign of engine trouble be sure to contact Freeport Automotive for professional engine repair in Sacramento. We service all makes and models at our auto repair shop, so come on down today. To schedule an appointment for quality auto repair in Sacramento at our full service shop call us at (916) 389-2405 and we'd be happy to accommodate you.